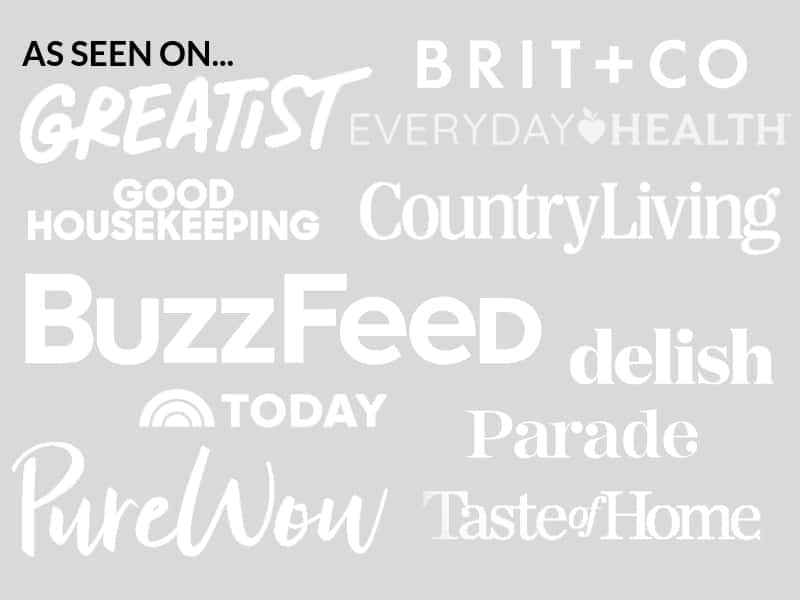 September 25, 2018 By Elizabeth Lindemann 8 Comments / This post may contain affiliate links. 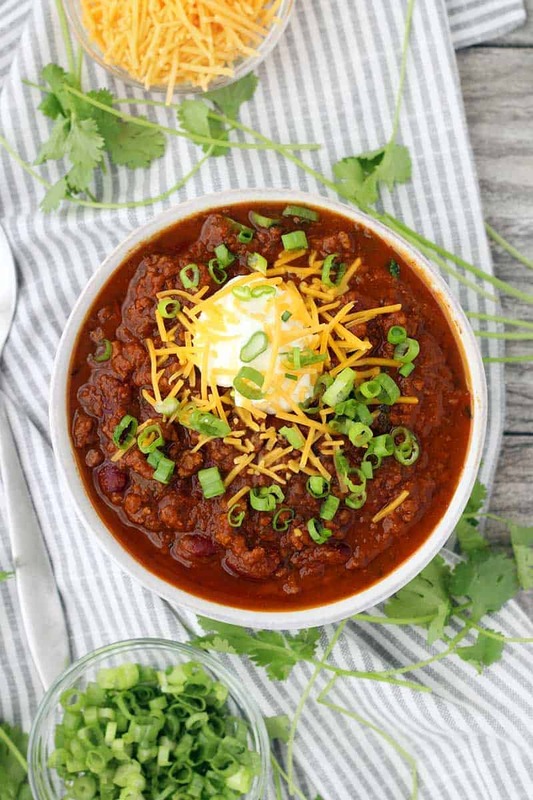 This Instant Pot Pumpkin Chili tastes slightly sweet, has a mild kick, and is so smooth and velvety from adding a whole can of pumpkin (plus my secret chili ingredient). It takes fall cooking to a whole other level! No Instant Pot? Don’t worry- you can do it in your slow cooker or on your stovetop, too. When I first heard about pumpkin chili, I’ll admit: I was skeptical. I thought it might be too sweet, or too “pumpkiny,” or just otherwise taking the fall pumpkin trend a bit too far. I love chili, and I love how simple it is, so I didn’t want to muck it up too much. Honestly, I didn’t even expect to put it on the blog, I was so skeptical. But OH. MY. GOODNESS. I was wrong. It’s soooo good! I think you’re going to love it. First of all, there’s a whole can of pumpkin added to it. It definitely adds a squash-like, pumpkin flavor to the chili, but not overwhelmingly so. 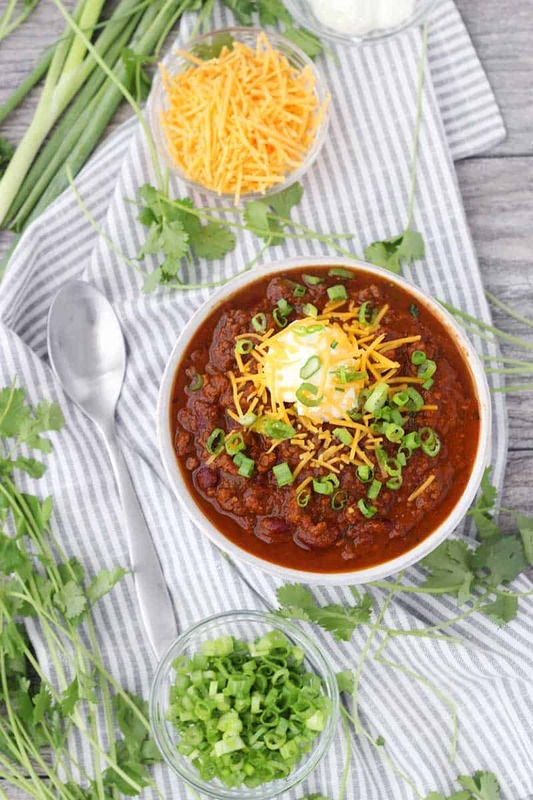 What it does do is add a big ol’ serving of vegetables to the chili (pumpkin, along with other winter squash, is super good for you– it’s packed with vitamins A, C, B6, and tons of fiber!). And it also makes the texture beautifully smooth, thickening the base and holding everything together in a perfect balance that ensures all is as it should be in the universe. I mean, in this bowl of chili. Beyond the canned pumpkin puree, there is so much fun fall flavor going on here. I used apple cider as the liquid base for the chili. You don’t need much- just a cup. But it’s important to have enough liquid when you use a pressure cooker so it will work correctly. You can also use apple juice, or even hard cider, if you want. 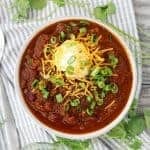 The apple cider adds just a hint of sweetness that’s perfect with the spiciness of the chili powder and cayenne, and enhances the natural flavor of the pumpkin. Again, I was skeptical, but I promise it’s not too sweet. It’s just right. Most chili recipes use beef stock as a liquid base, and sometimes a dark beer. I think both would be good here as well, if you want to skip the cider. I won’t judge. I added the apple cider after sautéing the onions and peppers with the ground beef and spices in the Instant Pot. This ensured that all the stuck-on bits at the bottom released before it cooked, helping prevent a hard to clean mess and also making sure all that flavor got into the chili, rather than hung out on the bottom of the pot. So. We have pumpkin, and we have apple cider. 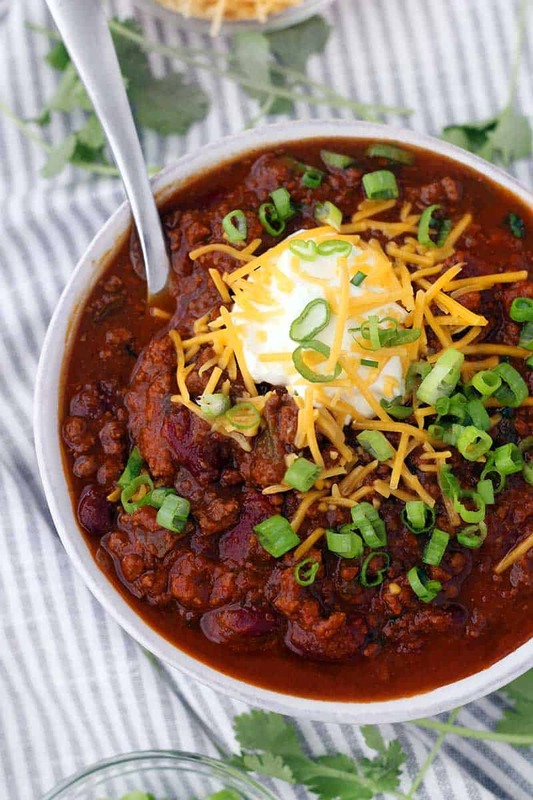 This chili SCREAMS fall and cozy weather and jumping in leaf piles and gobbling up a big bowl after trick or treating in the cold. Don’t you think? But wait! I haven’t even gotten to my secret ingredient! The spices I added to this really help set it over the top. There’s the typical chili powder (and lots of it), as well as cayenne pepper (for a bit of a kick). I also added some pumpkin pie spice, which is nothing more than a combination of allspice, cinnamon, nutmeg, ginger, and other spices, depending on which brand you buy. 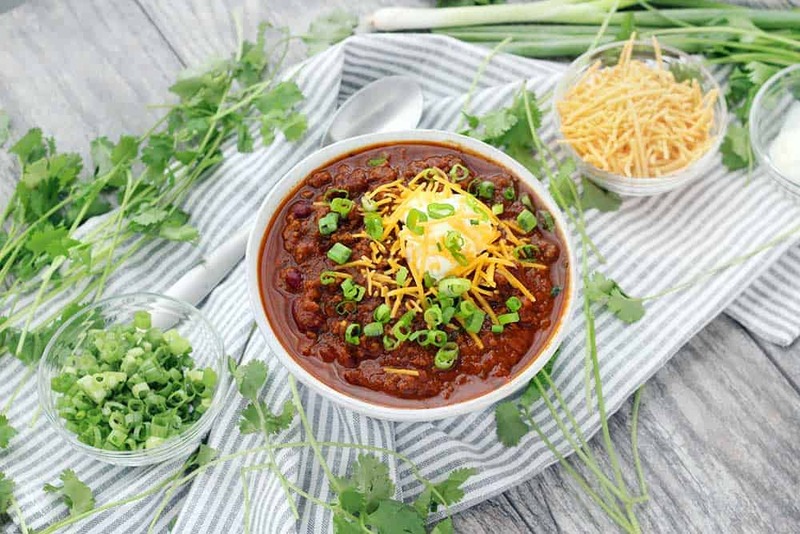 Basically, it’s a bunch of warming, slightly spicy flavors that go so well in the chili. I promise, it’s not just for pumpkin pie (or for pumpkin spice snickerdoodles!). And as for my secret ingredient for this delicious pumpkin chili recipe? I add cocoa powder to almost all my chili recipes. Ohhhh boy, are you in for a treat if you’ve never tried it. First, I want to be clear: adding cocoa powder doesn’t add sweetness at all. Pure cocoa powder doesn’t have any sugar in it at all. Instead, it adds a velvety smooth flavor to the chili. It tastes so good with the chili powder and cayenne flavor (because chocolate and chiles are a match made in heaven). You have to try it! Once the chili was done cooking, I added some chopped fresh cilantro as well as seasoned it with salt. The general rule when cooking with beans is not to salt until the end, since the salt can affect the texture. I added quite a bit of salt at the end, so make sure you taste it and season appropriately. And if your chili seems too liquidy and you’d like it thicker, you can use the sauté function on the Instant Pot to let it simmer until it’s thickened a bit. I do recommend covering it with a splatter screen, since it gets extremely hot and bubbly. The other great thing about this recipe? It makes a TON. I froze half of it for another time. But I’m too excited, and I might seriously break into it in a few days. I served this spaghetti Cincinnati-style: over spaghetti. So good. Basically, chili is like a bolognese sauce, so it definitely works! You can also serve it over cornbread or rice, if you’re trying to feed a crowd. 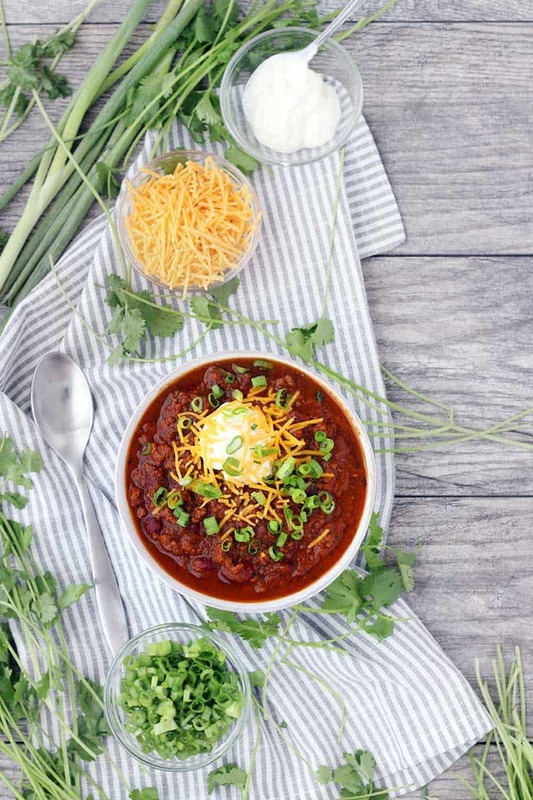 Sour cream, shredded cheese, green onions, fresh cilantro, chopped tomatoes, and diced avocado are all great toppings with which to serve this chili. 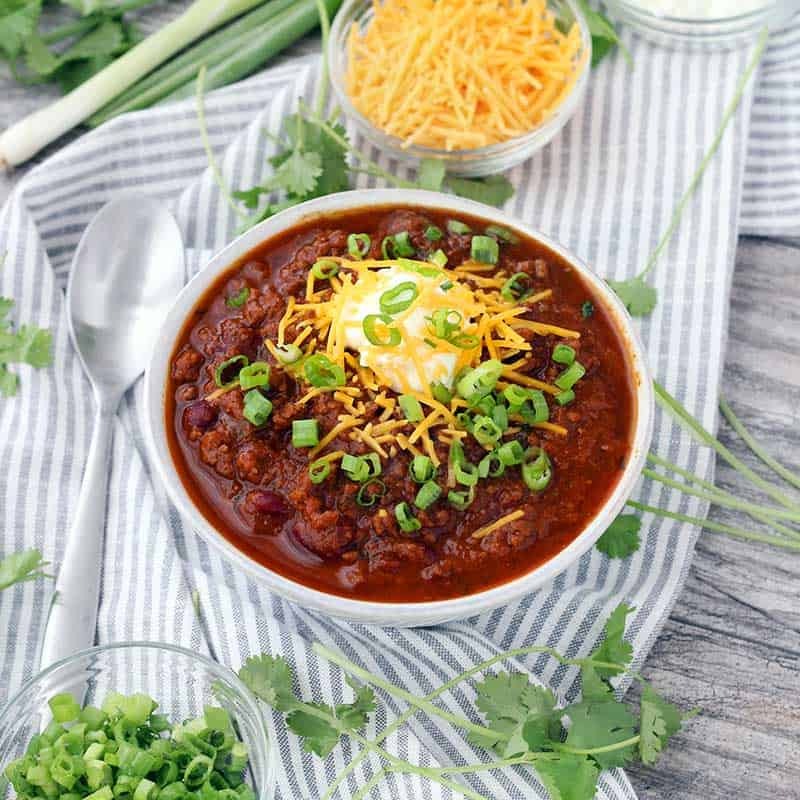 If you like this Instant Pot Pumpkin Chili recipe, you’ll love this Instant Pot Split Pea Soup, this Instant Pot Black Eyed Pea Soup, and this Crockpot Turkey and Vegetable Chili! Instant Pot Pumpkin Chili is so easy to make and packed with fall flavors from pumpkin pie spices and apple cider! This recipe uses a whole can of pumpkin and is slightly sweet, slightly spicy, and tastes smooth and velvety. Turn the Instant Pot to the "Sauté" function. Sauté onions and bell pepper in canola oil until softened and starting to brown, stirring occasionally (about 5 minutes). Add ground beef and cook, crumbling as you go, until browned (about 5 more minutes). Add chili powder, cocoa powder, and pumpkin pie spice. Stir to coat everything. Add 1 cup apple cider and stir, scraping up any stuck bits at the bottom of the Instant Pot as you go. Add the pumpkin, beans, and tomato. Stir to mix together well. Cover Instant Pot and set to manual at high pressure for 20 minutes. When time is up, allow the pressure to release naturally or use the quick release, waiting until the float valve has sunk down before opening. Stir in cilantro and season with salt (you're going to need a lot of salt- make sure you taste it!). Serve with optional toppings on its own or on top of spaghetti, cornbread, or rice. Slow Cooker Instructions: Add all ingredients except cilantro and salt to the slow cooker. Decrease amount of apple cider to 1/2 cup. Stir well. Cook on high for 4 hours or low for 8 hours. Stovetop Instructions: In a large pot, brown onions and peppers in oil. Add ground beef and cook. Add spices and stir to coat. Pour in apple cider and scrape up any browned bits. Add tomatoes, beans, and pumpkin, stir, and simmer covered on low for one hour, or until flavor has developed to your liking. Turn off heat, stir in cilantro and season with salt. If the chili seems too thin after cooking in your pressure cooker, turn to "sauté" and allow the chili to simmer until it's thickened. You may want to place a splatter screen on top, as it will get quite bubbly. This chili can be frozen in an airtight container for up to 6 months. The cooking time indicated does not include time for the instant pot to come up to pressure or to naturally release pressure. Depending on how warm or cold your ingredients start, and the type of pressure cooker you have, this time to come to pressure can vary. Mine took about 10 minutes. If you scroll all the way to the bottom of the written part of the post, you should see the recipe card! You can view it on the page or you can print it. Hello! What serving size is the nutrition information for? Hi! So, I estimated that the recipe makes about 10 servings, so it’s for 1/10th of the chili. I didn’t measure the whole volume of the chili after it was done, but I think the total was about 10 cups as I look back on the ingredients, so the nutrition info is for approximately 1 cup of chili. As a disclaimer, I always estimate nutrition information to my best ability, but it’s never 100% precise. Hope that helps! Sorry for the delayed response. I’ve heard this from a few people on a few of my recipes, and I always thought it was weird because it came nowhere near to burning on mine! However, it’s come to my attention that some of the newer versions of the Instant Pot tend to show the burn warning more easily. I’d suggest adding about a cup more liquid to the chili- that should help. And if it’s too soupy at the end, you can always simmer it until it thickens up. Hope that helps! Any suggestions for a vegetarian version? Not starting with a beef broth base seems to be a great starting point for a vegetarian/vegan version. I was thinking to substitute a couple of cans of beans for the meat – maybe mix it up and make a 3 bean chilli with a can of black and a can of garbanzo – but sometimes something seems missing with this simple substitution. I love those ideas! I actually have a vegetarian chili recipe on the blog and it uses more beans, plus mushrooms and corn. I think mushrooms would be great, and the sweet flavor of the corn would also probably pair really well! I wonder if root vegetables- carrots, turnips, etc. would also work. I’d love to know what you end up trying and if you like it!